Commodity futures and index futures contracts may fall under the futures trading category but they are two completely different types of assets. While one deals with the commodities that have a practical use in the day to day aspects of life, including industry and manufacturing, the indexes are purely focused on the investing aspect and are concentrated assets in the financial sector with the index futures tracking the benchmark indexes of the stock markets around the world. It is not hard to see how different commodity futures and index futures are and this difference comes down to the way these two types of futures contracts are traded as well. 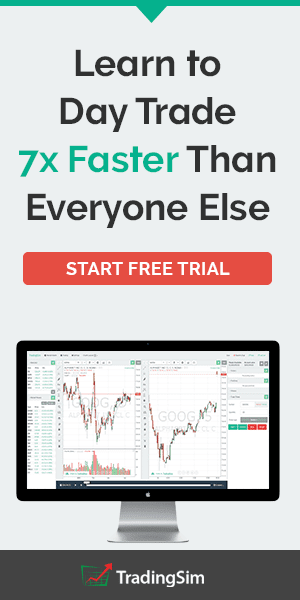 As a broad example, you could simply buy index futures contracts on a good earnings report from a set of stocks that heavily influence the stock index in focus. On the other hand, to buy a commodity futures contract you will need to look closer into the commodity market, the supply and demand dynamics to figure out the underlying fundamentals that are defining the prices of the commodity that you want to trade. One of the biggest distinctions between the futures markets and other markets such as equities or forex is that the futures markets are diverse unlike the equity markets where you will obviously be trading stocks or the forex markets where you will be trading only currencies, or fixed income markets, which are primarily made up of bonds. With the futures markets, you are looking at a broader mix of commodities, equities, interest rates and any security that can be hedged making it very diverse and clubbed together as derivatives instruments. 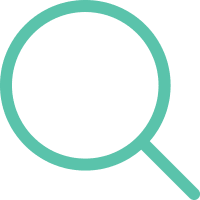 Thus, while it is easy to understand as to what type of assets a stock trader trades, a futures trader will need to be more specific than just saying that they trade futures. Therefore to treat the futures markets as a uniform market is a big mistake. 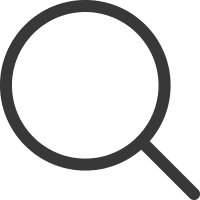 Even when you dig deeper, you will find that the commodity futures are very different made up of a wide range of underlying assets that are being tracked. When a day trader says that they are trading commodity futures, they could be trading gold futures or crude oil futures, or even soybean futures and it is important to know this distinction. Both the commodity and the index futures have different characteristics making them very different. And if you want to trade either of these two markets, here are five things you should know that makes the commodity futures and index futures so widely distinct. While futures instruments are hedging instruments, the difference in the structure of the underlying asset means that there are a lot of differences, in the way the instruments trade, the volumes, the factors that affect the underlying asset’s prices thus making the very unique and distinct from each other. In order to effectively trade commodity futures and/or index futures, here are five things traders should about the differences between these two types of assets in the futures market. Commodity futures contract encompass a wide range of assets, mostly raw materials. Commodity futures contracts represents the price of these underlying assets which are, Corn (C), Soybeans (S), Wheat (W), Oats (O), Soybean Oil (BO), Soybean Meal (SM). Depending on one's interpretation of commodity, gold (GC), silver (SI), crude oil (CL) can also fall into these categories. The way each of the commodity contracts behave is also very different. For example, the factors that govern the prices in corn futures will be completely different to the factors that determine the prices of gold futures or even the next closest alternative, which are wheat futures contracts. For the most part, each of the commodities contract has their own contract expiry months and there is no uniformity. For example Soybean meal futures traders on eight contract months while Oats futures has five contract months. Besides the difference in the contract months, each of the different commodities also has a different tick size and tick value making all of the commodity futures contracts completely unique. This means that even the performance bonds or initial margins and the maintenance margins required to trade these contracts differ from one commodity futures contracts to another. On the other hand, when it comes to index or futures, there is a certain amount of uniformity in the way most of the index futures contracts are listed and the way prices behave on each of the different index futures. There are some subtle differences however, such as the margin requirements for trading the e-mini S&p500 futures is different to the margin required for trading the Nikkei index futures. Besides these minor differences, one uniform factor is how every index futures trades on a quarterly, regardless of whether you are trading the S&P500 index future or the Nikkei index future. When prices of commodity future move, it could be due to a weather report or a supply and demand forecast that is responsible for the price volatility. And there are a lot more factors involved. On the other hand, when you trade index futures, the factors that affect the price volatility are perhaps economic reports, monetary policy decisions and so on. Index futures and commodity futures price fluctuate due to different reasons and understanding the fundamentals is essential to trade successfully. Before you begin trading a commodity futures contract, the first thing to start off with is to look at the markets in question. If you are trading soybean futures then getting to know the soybean markets such as the yearly forecasts for the supply and demand, at what stage the commodity (soybeans in this example) is in the process of its lifecycle can be helpful to understand how the markets are positioned. Paying attention to the commodity specific reports, mostly from the U.S. department of agriculture (USDA) can give better insights into the overall dynamics of the commodity markets. When this information is combined with the commodity futures price charts you can get a better idea of the trends and be able to trade accordingly. With index futures, there is a lot more flexibility and when it comes to the amount of research required, the information is easily found. For example, you don’t have to look very hard to understand what’s happening with the U.S. equity markets or even Japan for that matter if you were to trade the Nikkei futures. Due to the wide coverage index futures receive, futures traders can quickly assess the trends in the index futures that they are trading. Secondly, because the index futures are reliant on economic reports such as GDP, unemployment, inflation, all of which add into the central bank’s interest rate decisions, index futures traders can simply look to the economic calendar to identify any potential risks based on the news releases that are lined up. Seasonality is a factor that is common to all commodity futures and can be strongly seen, unlike index futures. The reason why commodity futures are strongly seasonally is due to the planting, growing and harvesting cycles that occur every year. This seasonality is influenced by a number of factors, starting with the weather which is the most important aspect and can potentially have long lasting impact on future crops as well thus influence supply side. The previous year’s harvest also plays a role as a surplus could mean that the stocks from the previous year could mean demand for the fresh crop or commodity is lower. 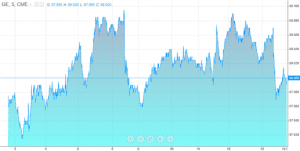 Besides weather the markets also play a crucial role in determining the price of commodity futures contracts. An example of the interdependence can be seen by interrelationship of the markets. The price of corn can have an effect on the price of livestock futures such as lean hogs, cattle, etc. where corn is an important feed. Thus, commodity futures traders should account for the seasonality and also focus on any interrelationships that might exist which could influence the prices at the end of the day. Index futures on the other hand do not exhibit strong seasonal tendencies similar to that of the commodities and this is easy to understand why. Still, there are certain periods of time when the equity markets are known to be bullish compared to other parts of the year and thus index futures can also be said to be somewhat seasonal by its own yardstick. However, when you compare commodity futures to index futures, it is easy to quickly know that seasonal tendencies are much stronger among commodity futures contracts. The basic reason why one would trade the commodity futures is because of hedging purposes. Commodity futures were primarily dominated by the producers and consumers of the commodity allowing them to negotiate and transact futures contracts to lock in a good price for the asset or commodity that is either being produced or consumed. However, the commodity markets have also seen an increase in speculative activity as well such as futures day trading. 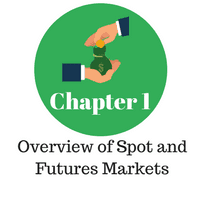 Here, the futures trader is not interested in taking delivery of the underlying contract but is focused on taking advantage of the price volatility. Thus speculators go long when they believe that price of a futures contract will rise or short when they think that prices will fall, without having anything to do with delivery of the underlying contract. Commodity futures contracts can be held up to maturity for taking or giving delivery of the underlying asset and they can also be settled for cash which is nothing but the price difference. Speculative traders tend to close out their positions before the last trading day to avoid the settlement process. Index futures see’s a lot of speculative activity due to the fact that the underlying contract, which is the cash markets do not change hands. 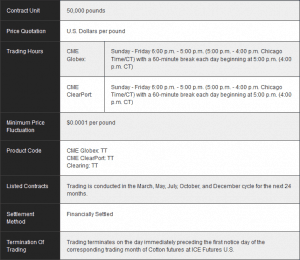 The contracts on the index futures are settled for cash, making it easy to trade. Of course, the futures principles still apply such as futures contracts being closed on the expiration day of the contract but there is no hassle of dealing with delivery of the underlying contracts. When it comes to popularity, the index futures clearly surpass other markets. In fact within the index futures, the S&P500 e-mini futures contracts are by far the most popular attracting the highest daily average volume. This is because the e-mini futures contracts come with low day trading margin requirements making it affordable to trade for the retail trading community. 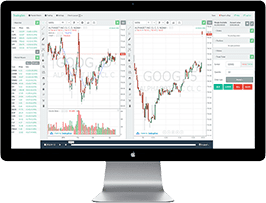 The contract specifications for the e-mini S&P500 futures contracts are also well covered, making it easy even for a complete beginner to futures trading to start understanding how the contracts work. On the contrary, trading commodity futures means that traders need to figure out which market they want to trade, followed by understanding the margin requirements including other contract specifications which change from one commodity contract to another. For the average futures day trader it is not hard to understand why trading the e-mini index futures stands out compared to trading any other commodity futures contract. The commodity futures and the index futures are two distinctive markets that come with its own personalities that traders need to understand before they can dive into trading the specific contracts in the category. For some traders, trading the commodity futures is preferred compared to index futures trading and vice versa. Ultimately it is all about which markets a trader is more comfortable with and understands better that will determine whether a trader should pick commodity futures contracts over index futures or vice versa. It is always best to test both these futures markets to get a test of the price action and the fundamentals that govern the respective markets before making a choice between commodity or index futures. What are the top 10 Liquid Futures Contracts?